Businesses can promise as much as they want when making purchasing decisions, customers will always give more faith to other customers than advertising slogans. Therefore, it’s very important that each interaction of existing customers with your company is simply perfect and gets better each and every time. This is why “Customer Experience Management”, “CEM? or “CXM” has become a very commonly used term in the last couple of months. But like “digital”, “innovation” and “design” it is actually difficult to find a clear, simple and transparent explanation, even though many businesses claim that improving customer experience directly proportional to growing their business, and is basically a competitive differentiator. While in the US customer experience is used for about two years now, one encounters this trend in other parts of the world more and more often on the subject of customer experience management. But what is behind it? Is Customer Relationship Management (CRM) already too established and boring and CEM just a new label glued to old content to make it more interesting? The answer is very clear: no. In fact, customer experience management is all about change of perspective. So far, the line of sight from the company to the customer has clearly dominated – that is, from inside to outside (inside-out). And CRM collects data about the customer from this perspective. When did we contact him how? What did we offer, what did he buy, and which of our services/products is interested? By contrast, CEM means seeing your own company through the eyes of the customer. How does the customer perceive the company? What experiences does he have – with the products, the services, and the service? Does he feel courted, well advised, valued? Does he have the feeling that the company is seriously interested in his opinion and wishes, as well as his criticism and suggestions for improvement? CXM, therefore, means taking the customer’s perspective on the company – from the outside to the inside (outside-in). According to Gartner’s predictions, more than 50% of organizations will invest in changes to improve customer experience by the end of 2018. Why improving customer experience is important to the company? Americans tell an average of 15 people about their bad experience vs 11 people about the good experience. 33% of Americans say they’ll consider switching companies just after one incident. Over 50% of Americans changed their minds of a purchase or transaction because of a bad service. $62 billion annually is lost by the U.S. companies due to the bad service. 51% of customers will never do business again after a negative experience. 74% of people are likely to switch brands if they find some processes too complicated. Bain & Company states that due to the loyal relationship a 5% increase in customer retention produces more than a 25% increase in profit. So, the bottom line is: kipping the right customers happy is valuable. 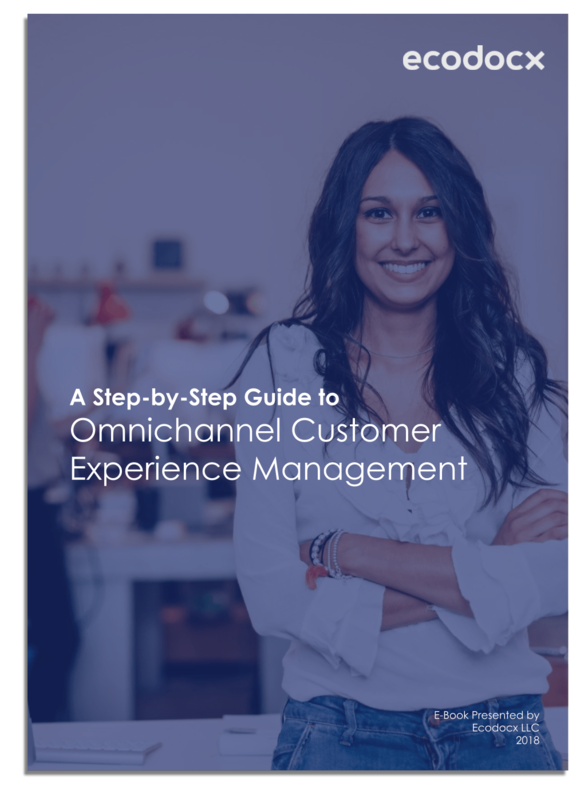 Although there is no one-size-fits-all customer experience management plan, we at Ecodocx have created a step-by-step guide based on our experience in the customer communications industry, that can help your team to start working on it’s very own customer experience strategy. .
“Ask your customers to be a part of the solution, and don’t view them as part of the problem”, Alan Weiss. So, the first step in introducing CEM requires neither investment nor great preparation: look at your business. Which direction do you have so far? Are you looking inside-out at the customer, or are there already approaches for looking outside-in? 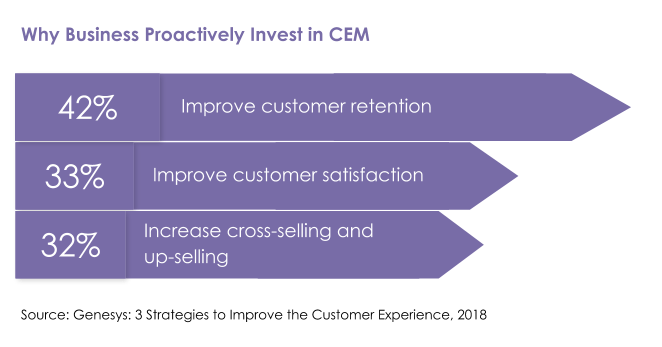 Based on this analysis, you can initiate first measures to improve the customer experience in the medium term: Start customer programs. Listen to your customers. Ask them actively about your experience. Analyze this feedback and take all comments seriously. In this way, you learn to see your company through the eyes of your customers and recognize the potential for improvement. If you would like to know how to improve the experience of your customer while they’re interacting with your company or brand if you would like to know how to attract, retain, and keep your customers happy, drop us a line or call us. As always, we are here to help you.